Note: This is not a review but rather, the reasons I could not finish this book. 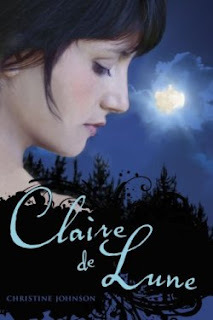 "Claire is having the perfect sixteenth birthday. Her pool party is a big success, and gorgeous Matthew keeps chatting and flirting with her as if she's the only girl there. But that night, she discovers something that takes away all sense of normalcy: she's a werewolf. Claire talked like she was 12 not 16. Claire and her mother’s relationship was basically non-existent, but yet the author seemed to try to force them together. Overall this book was boring and very lacking in plot, creativity, and style. I had to stop at page 100. I totally agree with your review. I had high expectations for this novel and it fell short. The novel was very predictable but I still stuck with it, thinking that the climax would be good, but it wasn't. I'm absolutely baffled by all those who adore this novel. But then again, we all have different taste.